Want to save some money for a weekend or buing something important? This article provides useful tips on this https://brainfalls.com/how-saving-a... . Now I'll tell you how to save money at Starbucks. What's your favorite iced latte? You can make almost any iced latte with iced coffee. Just order an iced coffee with your favorite syrup and cream for a copycat of your latte at a cheaper price. You can get the taste of iced caramel macchiatos by ordering an iced coffee with vanilla syrup and caramel drizzle. Starbucks does not advertise French presses on the menu, but you can order for under $4. The French press holds 32 ounces of coffee, which makes it cheaper per cup than buying brewed coffee. Many people enjoy the taste of French pressed coffee more than the brewed type. Most people don't know that there is a size smaller than a tall. A short cup holds eight ounces and is cheaper than a tall drink. You can order any hot drink in a short. If you order a short cup of coffee, you can get a free refill with a registered Starbucks card. A registered Starbucks card can save you money if you go to Starbucks often. For every 12 purchases, you get one free drink or food item. A registered card will also grant you free refills of coffee, iced coffee, and iced tea. All you have to do is be sitting in the cafe while you drink your beverage. If you bring your own cup or mug you can save $0.10 on your drink. It may not seem like much but those dimes will add up. Plus it's great for the environment. Love the Pumpkin Spice Latte? Skip paying the premium for the seasonal flavors and add cinnamon and nutmeg to your coffee or latte for free. This will give you the same flavors and aromas without paying more. Starbucks chai tea lattes cost almost four dollars for a grande size. For those who love chai tea lattes a cheaper solution is to buy the chai tea made with a tea bag and hot water. Then you can add milk or steamed milk to get the similar taste of a chai tea latte for more than a dollar less. 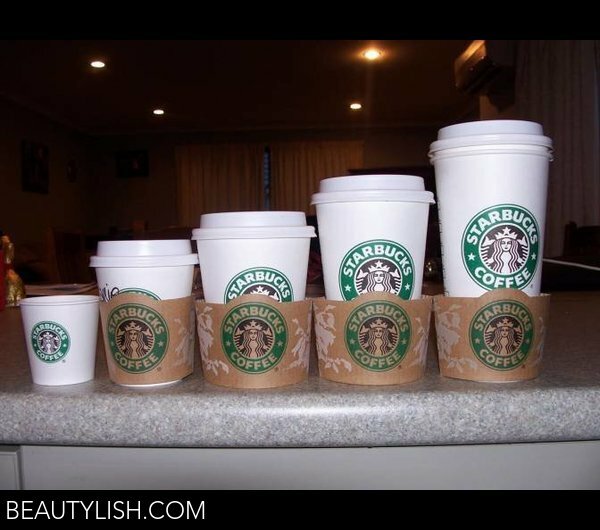 A venti-sized Frappuccino is 24 ounces and two tall-sized Frappuccinos are 12 ounces each. Therefore, if you and a friend want the same drink, you can save money by splitting the venti-sized frap into two tall cups. Most baristas will not split the drink for you because they might have to charge you, but they may give you two extra cups. Stop paying for a venti coffee when you pour most of it out to put milk in. Instead, ask for a grande coffee in a venti cup. This way you get a large coffee with the extra milk or cream you want. If you order a coffee every day, you can save over $150 a year. The Misto is a tasty Starbucks drink that is half coffee and half milk. It makes a great replacement for the more expensive latte! Bonus - it also has less calories. When one cup of coffee just isn't enough, Starbucks offers refills for only $0.50 during the same visit. Stick around and sip a little longer. Want something a little fancier? Some Starbucks stores will let you bring in your own coffee beans and do a pour over or French Press with the beans. They will charge you for the cost of a regular cup of coffee, but you get some fancier beans! 1 Photos by Emily S.